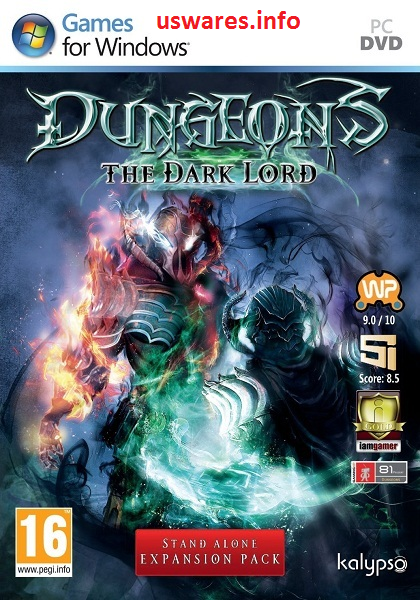 Dungeons The Dark Lord is the standalone add-on to the much-lovedDungeons, the game where the more evil you are, the better!In Dungeons: The Dark Lord theres a slew of exciting new features,including four-player multiplayer in three modes! It comes along with theaddition of an extensive single-player campaign, a new dungeon level and25 new unique prestige gimmicks. Copy over the cracked content from the Crack dir on the disc to your <install> dir.